We‘ll be playing another two awesome festivals on the first weekend of November. 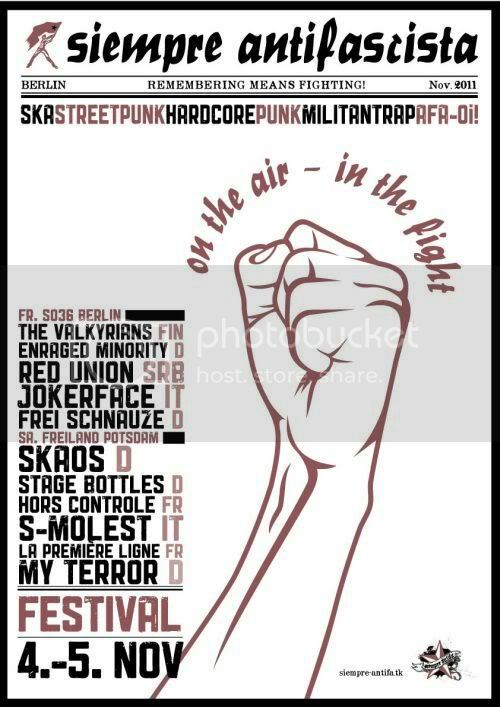 Friday the 4th we will be part of the Siempre Antifascista Festival at the legendary SO36 in Berlin with great bands like The Valkyrians and Red Union. 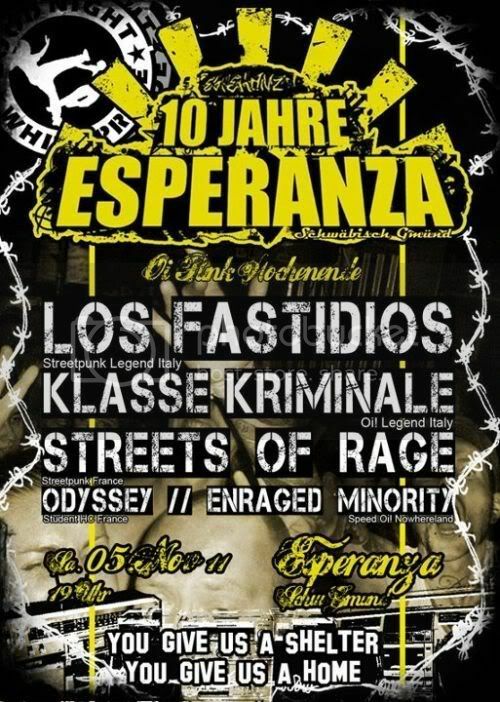 On saturday 5th Novembre we are honoured to play at the 10th aniversary festival of the Esperanza in Schwäbisch Gmünd with Los Fastidios, Klasse Kriminale and our good friends of Streets Of Rage. We‘re looking forward to seeing you there. Du browst gerade in den ENRAGED MINORITY Weblog-Archiven nach dem Monat Oktober 2011.